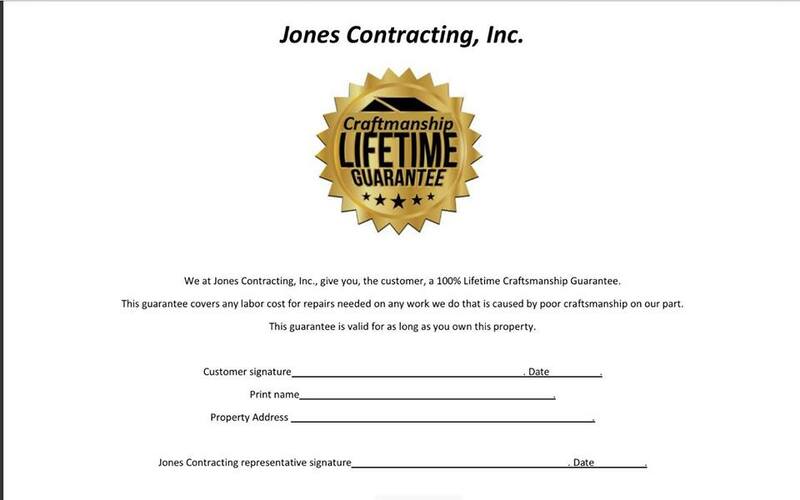 At Jones Contracting, Inc. we strive for 100% satisfaction in everything we do. 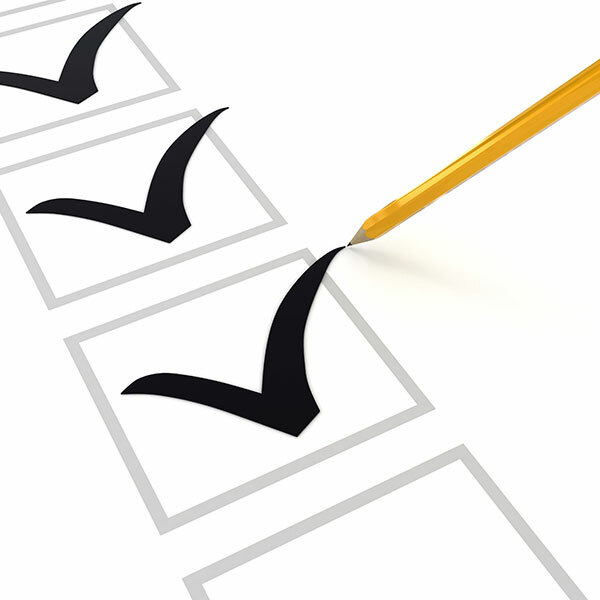 We value your opinion and invite you to tell us and others about your experience with us. 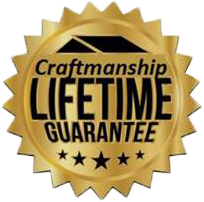 Please take a few moments to tell us what you think by leaving us a review here on our website or on any of these popular review sites or social networks. 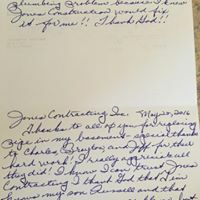 Thanks to all of you for replacing pipes in my basement – special thanks to Charles, Brayton and Jeff for their hard work! 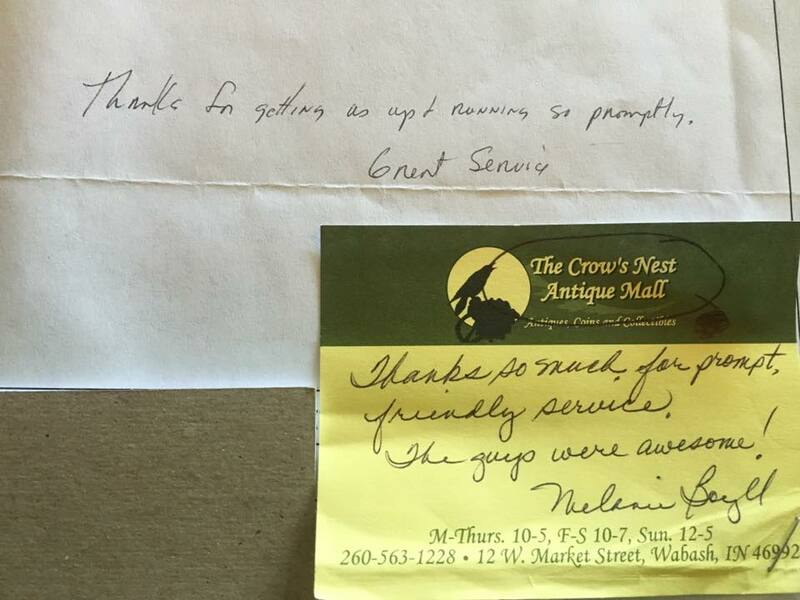 I really appreciate all they did! I know I can trust ones Contracting. I thank God that Tim knows my son. We want to take a moment out of our busy time to wish you both a Merry Christmas and to tell you how thankful we are to Jones Contracting! 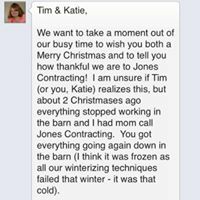 I am unsure if Tim (or you, Katie) realizes this, but about 2 Christmases ago everything stopped working in the barn and I had mom call Jones Contracting. You got everything going again down in the barn (I think it was frozen as all our winterizing techniques failed that winter – it was that cold). 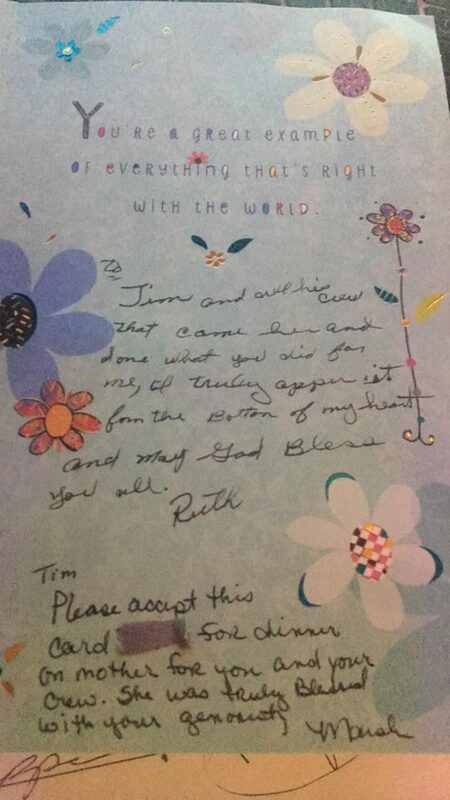 To Tim and all his crew that came here and done what you did for me, I truly appreciate it from the bottom of my heart and may God bless you all.